Definately one of the best sushi places in Helsinki is the sushibar + wine. Located at Kamppi Square right in the center it has a really nice interior. It is not too big which makes you feel comfortable there right away. But coming to the most important: The sushi here is great! They really know how to make the rice exactly the way it should be. But also the combinations are good. Try for example the delicious Suomi Sushi or the sushi with rice paper. For finding the right wine ask one of the waiters or try the recommendation on the menu! The organic wines are worth a try. Shushibar + wine is quite a popular place these days so try to make a reservation before going there. Sushibar + Wine unfortunately doesn't accept reservations, as far as I know. 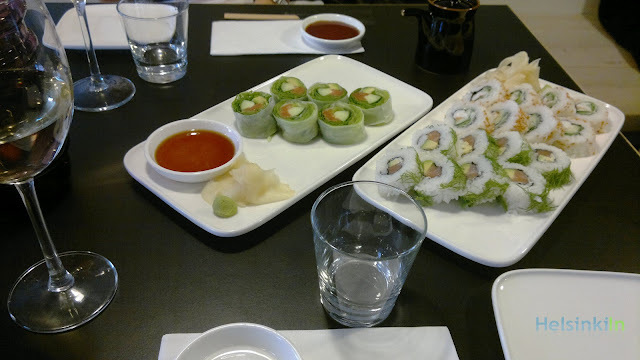 The only place where you can do it, is at Sushibar + Dine, close to Kauppatori. Thanks for the information! Quite uncommon for a Finnish restaurant since Finns are always eager to reserve in advance. I miss sushi terribly, as there's not much of it where I am. Next time I'm in Helsinki, I will definitely try this place. Really? You don't have sushi there? Crazy! 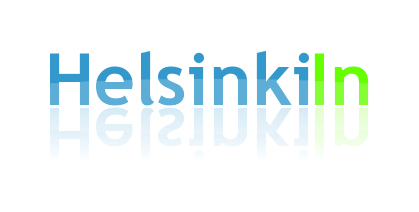 In Helsinki you can find it now at every second corner. I can recommend preparing it on your own. We do that from time to time and it's quite easy. Maybe I should post about it at some point.